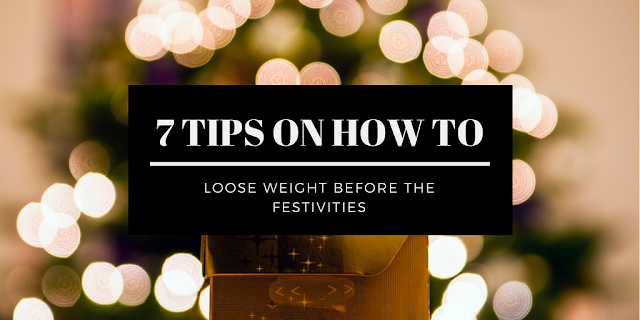 Let's face it, due to the high standards set out by society as a whole, we are always on the look out for ways or techniques for successful weightloss. I can say that I am guilty of having tried out various methods of dieting as I used to model full-time and unfortunately you were required to be a certain size. This is a whole different subject, I shall leave out for some other time. In terms of weight somehow none of us seem to be ever content. Some feel they may want to gain weight whereas others maybe feel the need to loose weight. This feeling though comes from within your mind because I am of the opinion that no matter where you are from or what you look like what truly counts is your heart. However we can tend to focus as females on our weight for different personal reasons. My reason comes from the fact that everyone is very thin in my family and I am a bit more curvy than everyone else at the moment, a bit more so in the last year and a half. I do advise to take the advice of a doctor or dietician to see what best works with your health status and lifestyle. 1. Avoid eating processed sugars (i.e. chocolates, sweets, cakes.. This part is my main problem area as I have poor self control when faced with desserts. My mother is the biggest temptress when it comes to this department). 2. Try to drink coffee without sugar (yes, I know probably not the best tasting alternative, but with time your body will detox and find it normal to drink coffee or tea without sugar). 3. Drink at least 2 litres of water and not any kind of other drink (if you don't like the plain taste, do get a cup of boiling water, add a green tea bag and a juice of 1 whole lemon, once it has cooled down, add it to your one and a half litre water bottle. The greatness behind this technique is that green tea speeds up your metabolism and the lemon combination detoxifies your body). 4. Whether at work or at home and this is for the ones who hate exercise try to walk around a lot, avoid sitting down for long periods. However, if you enjoy exercise or the outdoors you could go for a 30 minutes walk or a 45 minute light work out session at least 3 to 5 times a week. 5. PORTIONS!PORTIONS!PORTIONS! I can't stress how important portion control is and how you should avoid any type of carbohydrate after 6pm. After this timing your body's metabolism tends to slow down. 6. You don't have to loose weight quickly and starve yourself, this will create the opposite effect, because your body will get the signal that it is being starved so whatever goes into it, it is stored as fat in order to allow your body to survive because believe it or not your body is like an engine which needs it's fuel. 7. The most important point of them all, is that there is a conception for you to loose it quickly, which is a terrible idea as you will not be able to allow your skin to contract and you may be left with loose skin (This sometimes can be dependant on how much weight you may have started with or even your genetic components). Just take your time, don't inflict it on yourself almost as if it was a punishment. Don't forget that you can do this slow but efficient process integration at your own pace, you don't have to feel pressured by anyone else. If there is someone putting pressure you to loose weight just remember that the Kardashians are amongst the biggest celebrities at the moment and I love that they made curves a trend. So you could also look into embracing your curves. I remember my cousin telling me how much weight I had put on, it did make me feel insecure as I used to weigh 45kg at 5 foot and 7 inches. Yes, I was close to being anorexic and this was stress induced unfortunately. I then reached 55kg and she made out I was fat. I did initially get affected and doubt myself but the reality was that it is a healthy weight and goes to show that the issue is not with me but rather with her perception of herself. Can you see the huge weight difference between the two? But look at how much more healthy I look now and how much thicker my hair became. My body is now nourished. Yes, I am not skinny and do get told how much more curvy I look. But that's not such a bad thing right? Look at it this way or maybe this is how I look at it. So many people around the world have to suffer with famine, think about what they would give to be in your shoes and have access to food. Having worked with many charitable organisations, I truly count my blessings. Have you also faced the issues I have had? Do you have any tips to advise me on? Comment below. I would love to know your opinions. thank you anna, but its so true a of the time there is so much pressure why not embrace it instead as long as we are in a healthy weight range. This is something I’ve been thinking about lately.. I’ve always suffered with weight problems. When I was in high school I starved myself, smoke like a chimney and drank like a fish and exercised all the time. Now I’m educating myself more and a plant based diet makes it much easier to have desserts still and make them healthy. I’ve just become a brand ambassador for skinny Coffee club and am drinking their night coffee at the moment - I love it. I think it just gives your body a little detox as it’s only natural ingredients like coffee and green tea. You look much healthier and happier now - good on you for wanting to look good for yourself and not giving af about what society or the industry says. You look bloody amazing! You look beautiful Savana, As always! Good for you for doing it for you and not anyone else! I like this post not only because of the great tips but there is an important lesson in here and I hope more people who are insecure with their bodies read this and take inspiration from you. Keep it up Savana!